Abeno Harukas is the tallest building in Japan(300m). The spectacular scenery from the 300m, top floor observatory is certainly worth the 1500yen admission (adult). 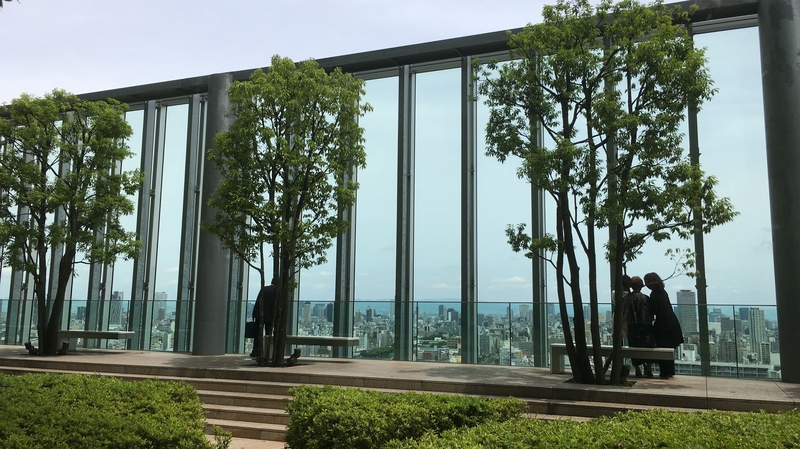 However, if you don’t want to spend any cash, there is another option: free entry to Harukas garden on 16th floor. This must be the tallest free observatory in Japan. It’s almost the same height as Tsutenkaku tower.